Every April 14th (the day after my cat’s birthday and the day before my birthday, much to my delight! ), people and organizations the world over honor and celebrate these amazing creatures, these magical cousins of ours in the ocean. While it is wonderful that there is a world-wide day dedicated to dolphins, we need to be aware of them and their plight every day, and we need to do something about it. All the important and obvious reasons for this can be boiled down to the most important reason: dolphins are us. What happens to them and to their habitat is happening and will happen to us. Dolphins are still in grave danger all over the world, particularly in Taiji, Japan, where barbaric dolphin hunts and massacres still occur every year. Also, the precious, rare little Vaquita porpoise found only the Sea of Cortez (northern part of the Gulf of California) is teetering on the brink of extinction. At the time of writing last year’s World Dolphin Day post, there were thirty Vaquitas left. Now there are only twelve. This means the Vaquita porpoise will be the second cetacean to go extinct in our lifetime. The first was the Baiji river dolphin of China, pronounced extinct in 2006. This is thanks to the absurd over-fishing of the totoaba fish (also in danger of going extinct), whose swim bladder unfortunately and foolishly goes for as much as $20,000 in Asia. The Vaquitas also fall victim to the nets intended for the totoabas. Dolphins and other cetaceans are not the only ones in crisis. We humans have been abusing Mother Earth and her resources and other precious children to almost no end, and we are all in danger of going extinct. Yes, all 7 billion+ of us. One of my favorite things about dolphins is that they evolved from a land mammal called the Mesonyx. Since all life originated in the oceans to begin with, this means that a creature came out of the sea, onto land, evolved into the Mesonyx, which hunted in the water and then continued to evolve and gradually became a permanent denizen of the ocean, beautifully coming full circle. So, what lesson do we need to learn from this? We need to come full circle. We need to return home to the salty womb that birthed all life, the source that we have been polluting, exploiting and wasting for decades. By forgetting space travel and colonization of the Moon or Mars. This is beyond folly and NASA wastes exorbitant amounts of money every year on ultimately futile space exploration and even more futile space colonization. It would cost several millions of dollars just to get the first few hypothetical explorers to Mars and to feed them on the way. We have nowhere near the technology we need to make these absurd sci-fi dreams come true, so why are we bothering? There are much more pressing matters and conditions right here on our perfect, beautiful home. What right have we to waste and destroy this magnificent planet only to attempt to use up resources we don’t even have to try to go live out in the cold void for which we are not remotely designed to survive? The answer is the sea. The true final frontier, the blue frontier. Captain Nemo of 20,000 Leagues Under the Sea had the right idea. Robert Ballard, the ex-Navy officer, professor of Oceanography at the University of Rhose Island, and the explorer who discovered the wreck of the RMS Titanic in 1985, was strongly influenced by Verne’s 20,000 Leagues, hence the name of his research vessel – EV Nautilus. Dr. Ballard, one of my new heroes since watching his series on Netflix, Alien Deep, is a strong advocate of colonizing our seas instead of Mars or anywhere in outer space. To paraphrase him, “Space colonization is a bunch of baloney”. I agree. Watch Ballard’s TED talk on ocean exploration. According to Ballard, NASA’s annual budget could fund NOAA’s ocean exploration for 1600 years. So why not take all that money and pour it into a much more real, nearby and possible future….floating cities? Visit the Seasteading Institute to learn more about an incredible vision that may well be the last hope of humanity. 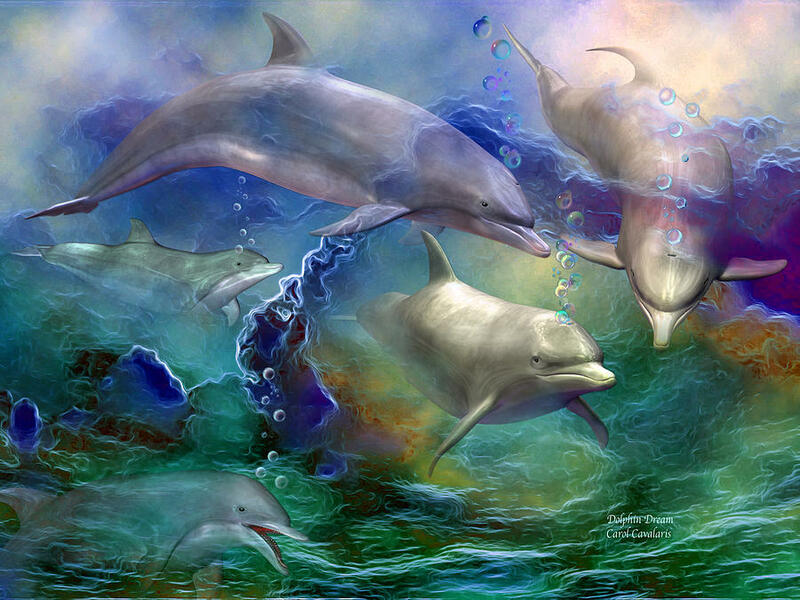 Once a walker of the land, the dolphin returned home to the deep magical source of everything – the Ocean. We need to do the same.